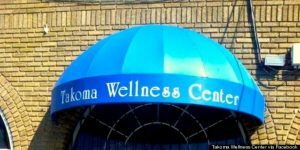 Dispensaries in D.C, such as Takoma Wellness, will now be able to serve patients with medical marijuana cards from any state. Under previous law, non-residents were unable to purchase medical marijuana in Washington D.C. This is troubling for many out-of-state residents who need their medication just like any other sick person, but are strictly prohibited from doing so. However, D.C. just approved legislation that is going to allow out-of-state medical marijuana registration card holders the ability to buy within the D.C. jurisdiction. The bill passed unanimously by the council on Tuesday in hopes that it will allow easier access to medical marijuana for patients visiting D.C. By passing the Medical Marijuana Reciprocity Amendment Act, the District joins Michigan, Nevada, New Hampshire, Rhode Island, Arizona and Maine in allowing reciprocity for out-of-state registered medical marijuana users. By offering reciprocity D.C. hopes to limit the amount of marijuana that crosses into its jurisdiction from patients who bring their medication from other states. This is also great news for Maryland residents who have been patiently waiting for their Medical Marijuana Program to go into effect. While there is an inclination that medical marijuana registration cards will be issued within the next few months, D.C. could provide safe access for Maryland patients in the intermediary. The latest information relayed to patients has indicated that Maryland Medical Marijuana Cards will be issued at some point before the end of November. Based on the new legislation, Maryland residents who possess a medical marijuana card issued by a Maryland Medical Marijuana Doctor could in fact purchase medication in nearby D.C. This comes as a tremendous relief for the countless patients who suffer from debilitating medical conditions and need the benefits of medicinal marijuana to combat their illnesses. As a result of this new legislation, Maryland could also lose tons of tax revenue from Maryland patients purchasing in D.C. dispensaries. This new bill could potentially bolster D.C.’s medical marijuana program and provided an exponential increase in the number of patients attending the five established dispensaries with the District. DC has 5 Dispensaries that sell medical marijuana. 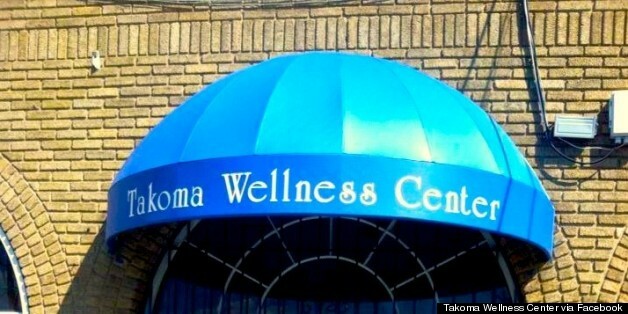 The 5 dispensaries selling MMJ are Takoma Wellness Center, Nation Holistic Healing Center, Capital City Care, Herbal Alternatives and Metropolitan Wellness Center. Green Way Consults has a location in Silver Spring, Maryland; right on the border of D.C and Maryland. Currently the D.C. dispensaries serve approximately 4,200 patients, but this number could significantly rise due to the new reciprocity legislation. Regardless, this is new bill is a win-win for the District of Columbia’s medical marijuana program and the patients outside of its jurisdiction; especially Maryland!